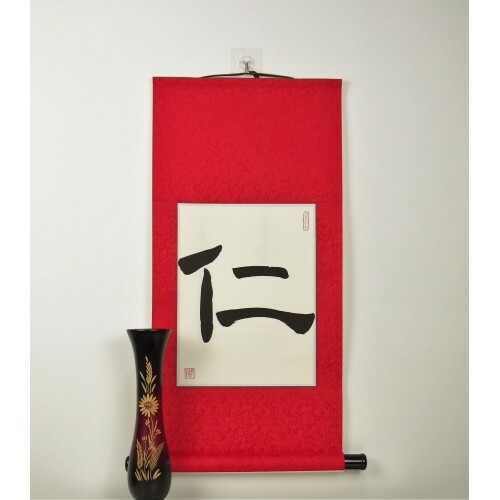 This character / kanji symbol is highly regarded as a virtue both in Japan and in China. It basically means that you should care for and protect others who may be worse off than you. The symbol can also be translated as "mercy" or "charity." The ancient Japanese Samurai were to be completely selfless in their devotion to others and to the Emperor. 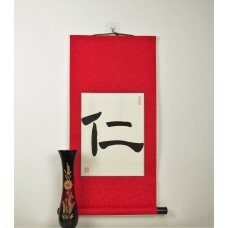 This scroll is a reminder to be benevolent to the people around us.